Stamporama began with 6 members in January 1996 with one idea -- trading duplicates among the members. Today Stamporama has 1664 members from all 50 US states, 11 Provinces and Territories of Canada, 6 states of Australia and 83 total countries worldwide. We have members from 8 to 88, whose interests cover the entire range of stamps and stamp collecting, from cancellations to Back of the Book. 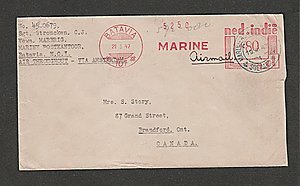 We also study and collect covers, FDCs, rates, usages, routes, ephemera, Maximum cards, seals, body bags and crash covers, the machines creating the cancellations and postmarks, spray-ons and other transit markings not technically cancellations, history behind the man sending the stamp, and so much more. Our members include beginners to experts, and the best part is that everyone is here to help each other. "Although we are still growing, I think of Stamporama as a family of stamp collectors. I feel that every member means a lot to me and I will always be grateful that I started this great club!" ... Jerry Abern (1932-2003), Stamporama Founder. Many membership benefits are available to Stamporama members. On-line auctions open only to members of Stamporama. The Discussion Board where you can discuss stamp questions with other members of Stamporama. Exhibits that have been created by our members and where you can share parts of your collection. A Members Area that has many useful tools to get the most from the website. A Frequently Asked Questions area to help you would those "how to" problems. Most of all we have members who care about stamps, and about carrying on the great hobby of Stamp Collecting.